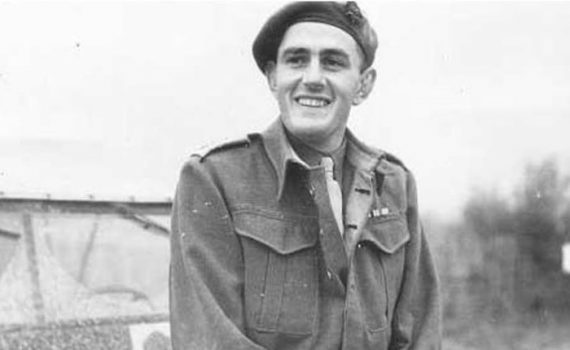 Gerard Ross Norton VC MM (7 September 1915 – 29 October 2004) was a South African recipient of the Victoria Cross, the highest and most prestigious award for gallantry in the face of the enemy that can be awarded to British and Commonwealth forces. Educated at Selborne College, East London (where he acquired his nickname) he was a keen sportsman excelling at cricket, rugby and tennis. After school, he joined Barclays bank at Umtata. After a short spell in the Johannesburg branch of the bank, he returned to East London. The hostel at Selborne College is named in his honour. On 31 August 1944 during the attack on Montegridolfo, Italy, Lieutenant Norton’s platoon was pinned down by heavy fire. On his own initiative and with complete disregard for his own safety, he advanced alone and attacked the first machine-gun emplacement, killing the crew of three. He then went on to the second position containing two machine-guns and 15 riflemen, and wiped out both machine-gun nests, killing or taking prisoner the remainder of the enemy. Throughout these attacks he was continuously under fire from a self-propelled gun, nevertheless he calmly went on to lead his platoon against the remaining enemy positions. The award of the Victoria Cross was gazetted on 24 October 1944. He later achieved the rank of Captain. After the war he moved to Rhodesia, where he ran a large tobacco plantation and became a Rhodesian citizen. Gerard Ross Norton died on 29 October 2004.